The Gilded Frame Wedding Invitations Collection conjures images on ages gone by where manners and mindfulness were paramount. 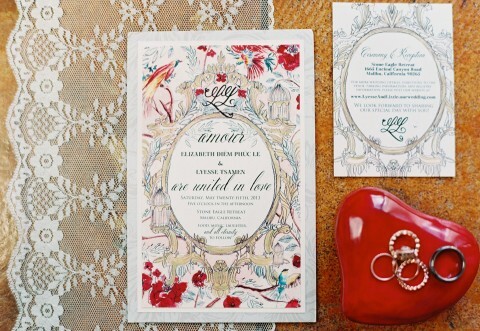 Richly ornate illustrations, lavishly painted blooms and gold brushstrokes galore mingle to create a lasting and textural invitation experience. Run your hand across the heavy gilding or hand painted petal and you will instantly know you are holding a piece of art. 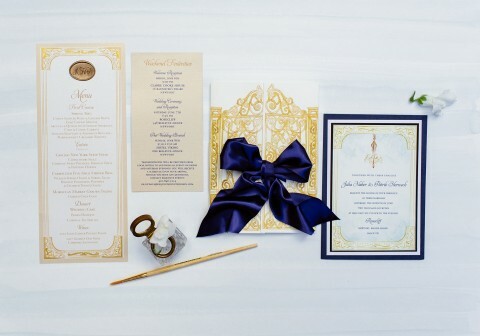 Have a look at how many ways you can customize our Gilded Frames Wedding Invitations!